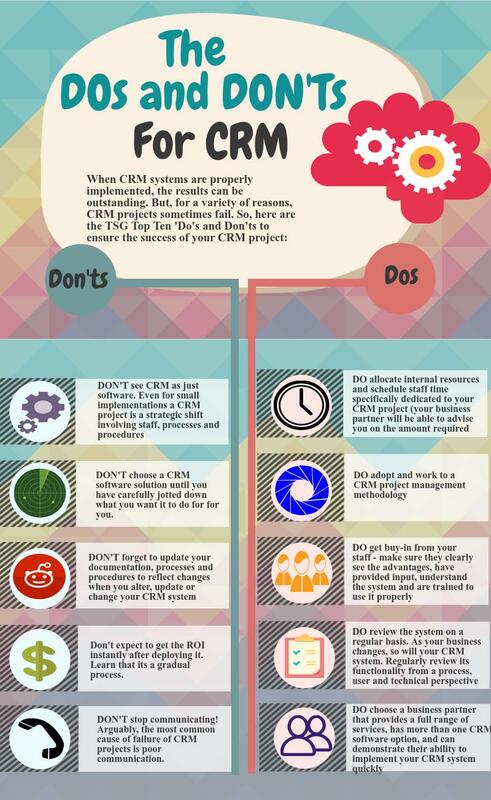 The Dos and Dont's For CRM #infographic ~ Visualistan '+g+"
A correctly deployed CRM can help entrepreneurs big time by marketing automation and process streamlining but a badly deployed one can be a source of constant nuisance since you therefore you must make sure that your CRM is a bliss not a pain by adhering to the simple guidelines provided by the experts. 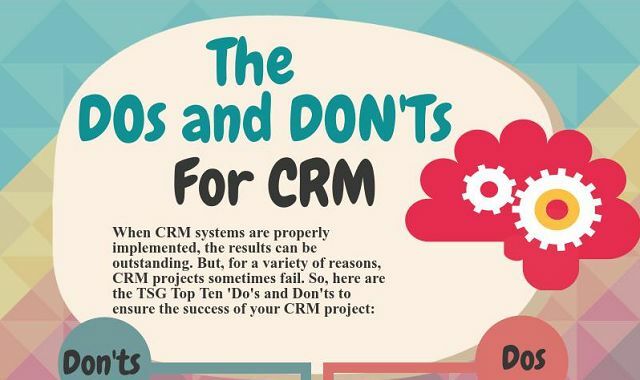 What needs to be understood about the CRM is that its not just a part of your business strategy rather it’s a business strategy itself so you must not see it as a mere software but understand that by implementing a CRM you will be making strategic shift even in the smallest processes of your business. In order to reap real fruit from your CRM plan it before you buy it. Jot down your goals and expectations and find out if you can synchronize them with your existing business processes or not. Plus don’t expect it to work like a magic wand, it wont be providing you the instant ROI so its best to be patient.